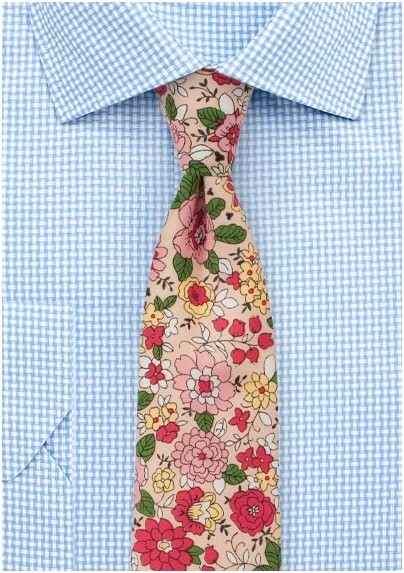 Turn heads at your next summer event with this graphic print floral tie in pink, green, yellow, and magenta. A great addition to your summer formal looks that looks fantastic even when worn sans jacket. 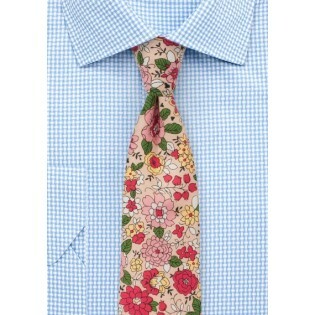 Our tip: Wear this tie with a white linen shirt, a beige vest, matching pants, as well as dark brown dress shoes. Handmade using finest printed cotton by BlackBird.